At Kerith we have a team of elders who oversee all that happens in the life of our church (if you’d like more detail on the role and qualifications for elders then there’s a chapter in the book I wrote, the Peach and the Coconut, which describes both the role of elders and the other leadership structures within Kerith). Our elders have proposed recognising Ben Oliver as an elder, but before we formally appoint him I’d really appreciate hearing from anyone in our community who might have thoughts or comments on Ben stepping into this role, either negative or positive. Please send any comments to me via email. To tell you a little bit about Ben, he and his wife Beccy joined Kerith 20 years ago. Eleven years ago he joined the staff team on a part time basis as my first appointment after taking over leading Kerith, then in June 2015 he came on the full time staff after giving up his job as a project manager at GSK. As a volunteer Ben has served in a whole variety of roles in the church including leading a small group, overseeing all of our small groups and serving in our children’s ministry. His roles on staff have included leading our operations team, overseeing courses and developing the growth track, preaching, pastoral care and now leading the whole of the staff team. He has also been attending and contributing in elders meetings for the past 13 years. 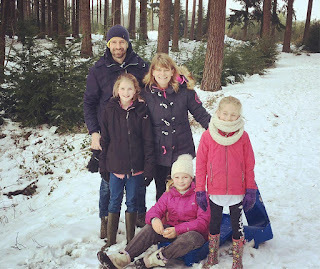 Ben and Beccy have three girls, Sophie, Naomi and Megan and live in Wooden Hill in Bracknell. If you do have any thoughts or comments then please email them to me by Tuesday 22nd January. Unless we hear anything to cause us to pause the process we’ll formally recognise Ben as an elder when David Devenish is with us on Sunday 27th January.